Free data roaming will continue even if the UK leaves the EU without a deal, the Brexit secretary has promised. Dominic Raab said two mobile operators had agreed and if others did not follow the government would force them by law. Mr Raab also said the UK would not pay the full £39bn divorce bill if the UK fails to reach a deal with Brussels. The government has published contingency plans for driving licences and passports and phone charges in the event of a no-deal Brexit. The plans say anyone travelling to the EU after Brexit should make sure they have at least six months left on their passport, although that will not apply to travel to Ireland. People applying for a new passport after Brexit will continue to get burgundy passports for a while – although they will not say “European Union” on the front cover, the plans say. Blue passports will start being issued from late 2019. Mr Raab told BBC Radio 4’s Today programme two mobile operators, Vodafone and Three, had publicly agreed not to bring them back for British citizens. 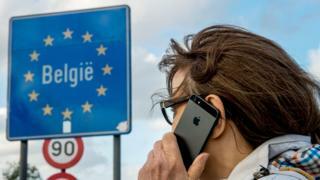 So will there really not be roaming charges? “I don’t doubt that some of the uncertainty around these negotiations will have an impact on business, that’s why we are putting all our energy into getting the good deal we want with our EU friends and partners. Labour MP and chairman of the Commons Brexit Committee Hilary Benn said the government should be concentrating on trying to get a deal, as leaving without one would be “the worst possible outcome”. “The focus on no-deal is, in part, about trying to handle the open warfare that has affected the Conservative Party when it comes to Brexit,” he told BBC News. Writing in the Daily Telegraph, Mr Raab said Thursday’s 28 documents “range from protecting consumers from mobile phone roaming charges to upholding environmental standards”.